There have been times when these words come into your mind, and other times when you speak them. All of us are guilty. As writers, the ugly doubt comes in the form of feeling inadequate...like a tiny fish in a huge sea of sharks. People who don't understand how the whole publishing business works may think we should all be living in a huge house with hired help, a fancy car, and enough money in the bank to never worry about how the bills will be paid. Trying to explain why you aren't the next Nora Roberts or Stephen King can be fruitless and frustrating. You might stare at a blank white computer screen and think you don't have what it takes. You might even consider walking away, giving up the dream. You are listening to the wrong voice. The small whispers of self-doubt don't come from the Holy Spirit, but from Satan. If you've been called to write, God will provide you with everything you need to be the success He wants you to be. You may not be a household name like those mentioned above, but if you reach one weary soul and show them God's grace, you have been successful. I'm reminded of how Moses told God to send someone else, someone who could speak eloquently. Yet God performed a miracle and brought his people out of Egypt by equipping Moses with the tools to do so. God uses unlikely people throughout the Bible, and He continues to do so today. 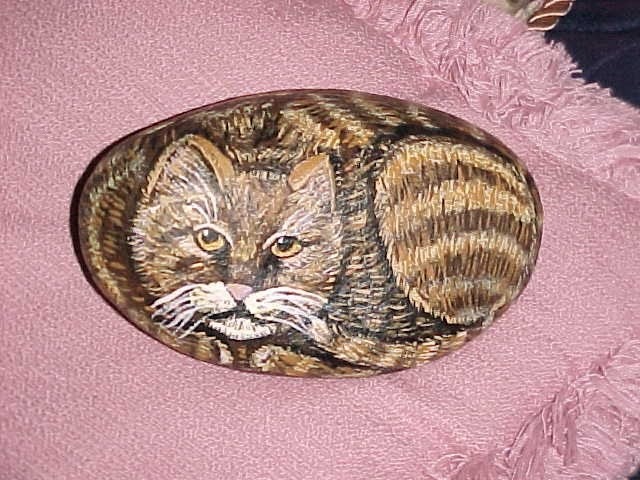 That little guy in the picture...he's a creation painted on a rock by me at a time in my life when I needed extra income. I'm not a painter, or an artist. But God gave me the tools to turn rocks into beautiful creatures: cats, cows, leopards, turtles, frogs, deer, bears... These were sold through a consignment craft shop and brought in exactly what we lacked in our time of need. God does provide our daily bread. Never doubt that. Give thanks for His gifts and use them as He calls you to do. And when the dark voice of doubt whispers in your ear, speak loudly and say, "Get Thee behind me Satan!". 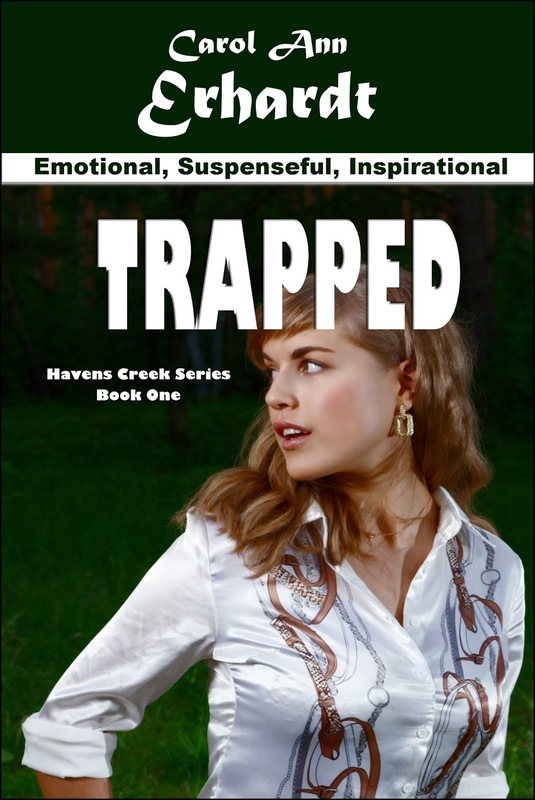 "This is a wonderfully sweet inspirational suspense story that I couldn't put down. It's not a genre I would ordinarily read but the inspirational parts are handled deftly and with great care and were so much a part of the characters inner beings that I didn't mind at all and didn't feel as if I were being preached at. The suspense is heart pounding as lovely Summer tries to leave her old life behind only to find that sometimes we drag the past along with us." Love your cat rock, Carol Ann. With your love of cats it "looks like you" I thought someone might have given it to you as a gift. I thought I was loosing it when I saw your book cover. I thought the girl had a plain white blouse. So I clicked the link to Amazon and was relieved to see your notice of a new cover! No, the new cover replaced the very first one which had a little girl and a black lab. It didn't appropriately depict the suspense genre, so this one took it's place...but the girl never did have a pain white blouse. LOL! Hmmm. Well I did clean my glasses real good this morning! And I downloaded your book. Husband and I are going on a trip and I need to get my reading prepared.